Rosewood is a historically African American neighborhood on the east side of Austin, Texas. It takes its name from Rosewood Avenue, which runs through the middle of the area. Rosewood was first settled by Europeans in the late 19th century, but from around the 1910s on, the City of Austin adopted as official policy the goal of segregating African Americans in East Austin. Rosewood has been the official home of Austin’s Juneteenth or Emancipation Day celebration. June 19th was the day that news of the Emancipation Proclamation reached Texas—two years after the fact. The exact location of the celebration has changed over the years, but whether it was Emancipation Park or Rosewood Park, Austin’s major Juneteenth event has always been in Rosewood. 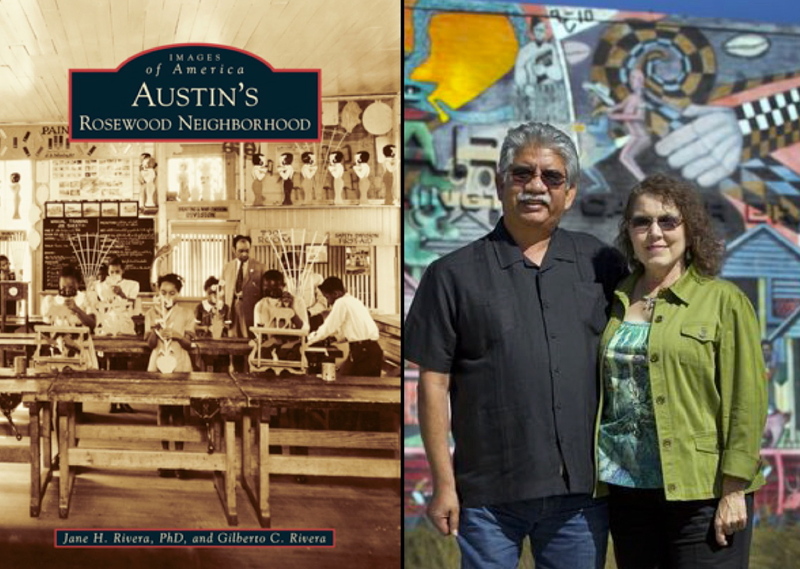 Authors Jane H. Rivera, Ph.D., and Gilberto C. Rivera have been neighborhood activists in Rosewood for decades. They have added images and interview materials from their neighbors and images and information from the Austin History Center to document the transformation of Rosewood. Gilberto C. Rivera, a Rosewood native, has selected the best photographs from his personal collection to form the basis for Images of America: Austin’s Rosewood Neighborhood.